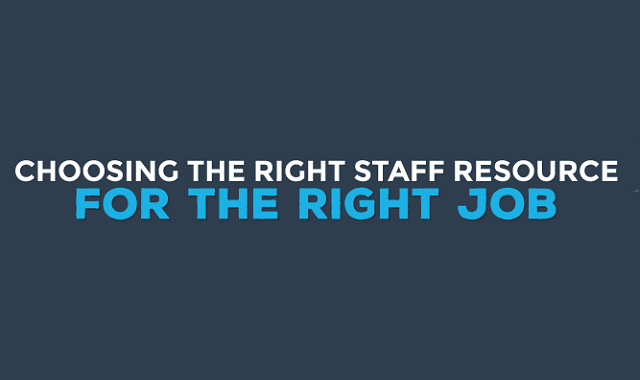 Choosing The Right Staff Resource For The Right Job #Infographic ~ Visualistan '+g+"
Hiring the right staff is a critical part of running an efficient business. Inbound sales, customer service, accounting support, or order processing - regardless of what the job is, having the ability to make the right hiring decision can have a tremendous impact not only on the operational efficiency but also on the financial health and brand image of a company. In saying that, engaging a potential staff member should not be a pain either.. Although the process can be quite daunting, there are ways that you can employ to make sure that you hire the right person that fits with your organisation’s culture and most importantly – the job at hand.